Oh, Christmas… What a wonderful time of year… Could there be anything better? Well yes, a Christmas vacation! Make your wildest Christmas fantasies come true with a once-in-a-lifetime trip to a magical Christmas destination. Whether you dream of a fairytale village, a big city adventure, or a Christmas at the beach, we’ve got you sorted with this list of 5 must-visit Christmas destinations. So jump in the sleigh and let’s get to it! 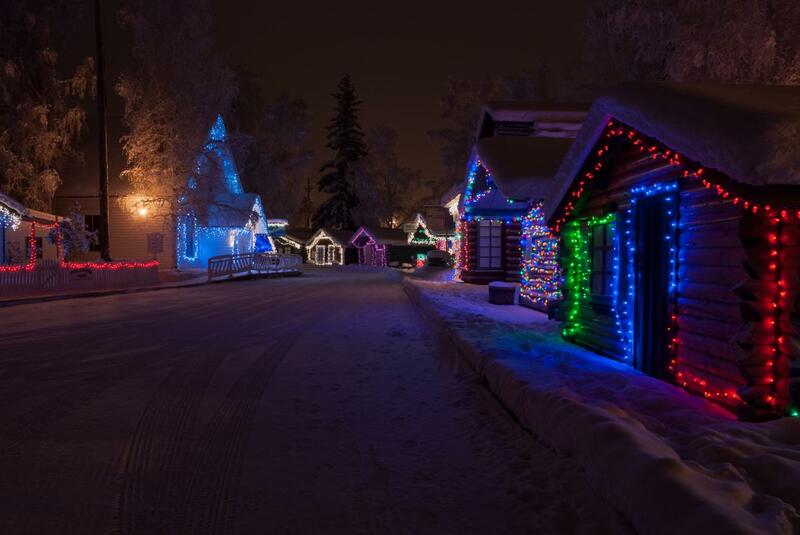 Looking for Santa’s Village in the North Pole? Well, look no further! This northern region of Finland fits the bill with its snowy weather, pine trees, and reindeer. 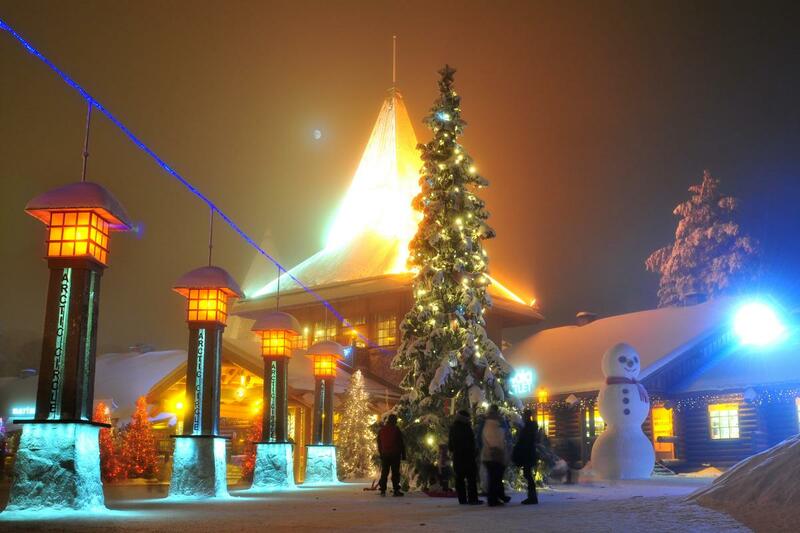 Settle in for a cozy stay at Santa Claus Village, Rovaniemi. Explore with a reindeer sleigh tour by day, and by night take in the calming beauty of the northern lights (visible up to 200 days a year). Warm up in a holiday cabin, glass igloo or snow hotel, before heading out to cross the line into the arctic circle. Despite its name, North Pole is not actually the geographic north pole… But it’s close enough for me! This small town receives thousands of letters each year addressed to Santa Claus. There are many streets in the town with Christmas-themed street names, such as Santa Claus Lane, Mistletoe Lane, Snowman Lane, and Kris Kringle Drive. They leave the Christmas decorations up all year. Visit the Santa Claus House and you may even get to see the big man in red himself. 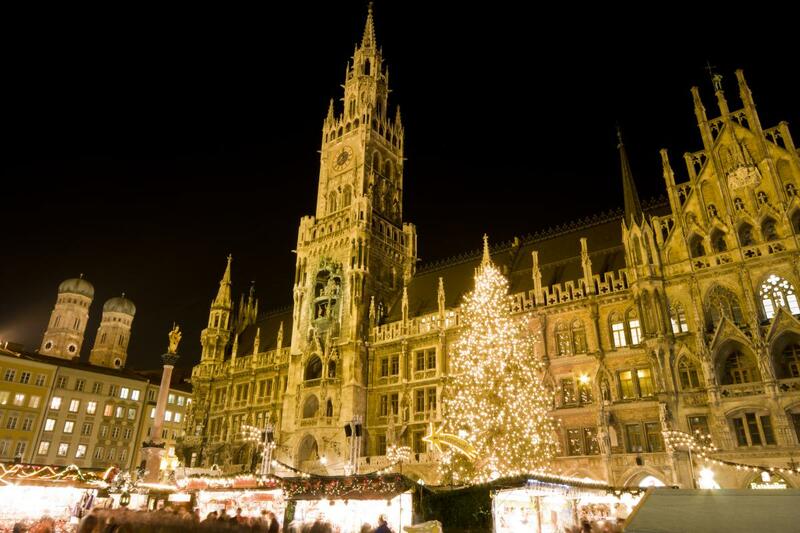 Munich is believed to be the birthplace of the ever popular European Christmas Market (Christkindlmarkt in German). There have been Christmas Markets in Munich since as early as 1310. Indulge in sweet German Christmas goodies and warm up with some hot wine. See more in our 12 Days of Christmas Markets. Munich, or anywhere else in Germany is great if you would like a relaxing Christmas with lots of quality family time. This is because most shops and businesses are closed from the 24th – 26th of December. If you are a fan of pancakes, you can also check out our pancake map! Believe it or not, some places around the world actually celebrate Christmas in the summer months. Australia, being in the southern hemisphere, is one of these places. Why not try something completely different this year? Trade in your white snow for white sand, and experience a Christmas like never before! For Christmas, Australians love to hit the beach for a swim and enjoy a barbeque or seafood for their Christmas lunch. Fraser Island is the largest sand island in the world, and hey, who can be unhappy in 80F+ (27C+) weather in a tropical beach paradise? Many of us have grown up watching Home Alone and Home Alone 2: Lost in New York each Christmas. Relive your childhood by visiting the Big Apple for Christmas. 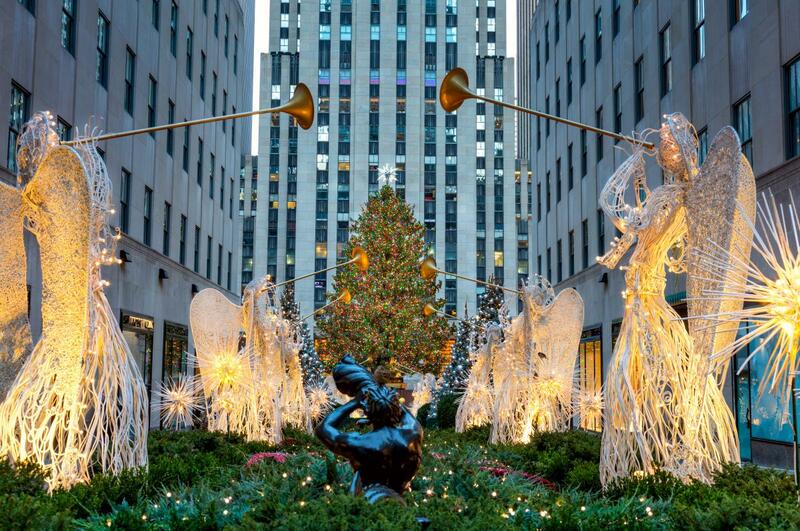 Visit Times Square and then head to the Rockefeller Center to see a Christmas tree like no other. Go for a stroll in Central Park and put on some skates at the Wollman rink! There are also a bunch of Christmas Markets to check out, and hundreds of decorated window displays. Perhaps you could stay at The Plaza Hotel like Kevin. So like Australia, the Philippines enjoys a sunny tropical Christmas. But that’s not the reason why they are included on this list. Filipinos actually celebrate the longest Christmas season in the world! Christmas carols and decorations pop up as early as the 1st of September, and the holiday season can last almost through January. Houses and streets are decorated with paról, which are paper lanterns usually in the shape of stars, children go caroling around the streets in exchange for coins. Filipinos absolutely love to celebrate, spend time with their families, and eat great food, so it’s no wonder why their Christmas goes on and on! Experience true Christmas spirit and the world-famous hospitality of the Filipino people this Christmas. 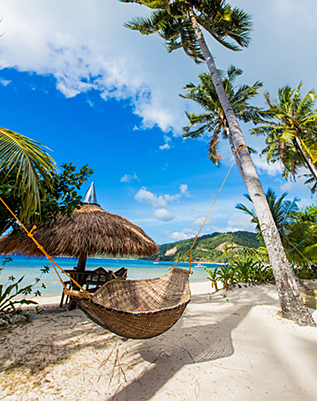 There’s still time to book a flight to the Philippines for Christmas! So, there you have it! What’s your choice? A snowy Christmas wonderland, getting lost in a big city, or lying on a beach in paradise? For some, it’s a hard choice, for others, not so much! But most importantly there’s still time to book flights for Christmas! So many Christmas destinations, so little time! Our travel agents here at ASAP Tickets are experts at booking last-minute flight deals to any destination in the world (especially Christmas destinations). Let the experts design your dream Christmas by calling 844-300-7983 or requesting a free quote on this page. I would like to say that this article is amazing, well written and includes good information. I’d like to see more posts like this. 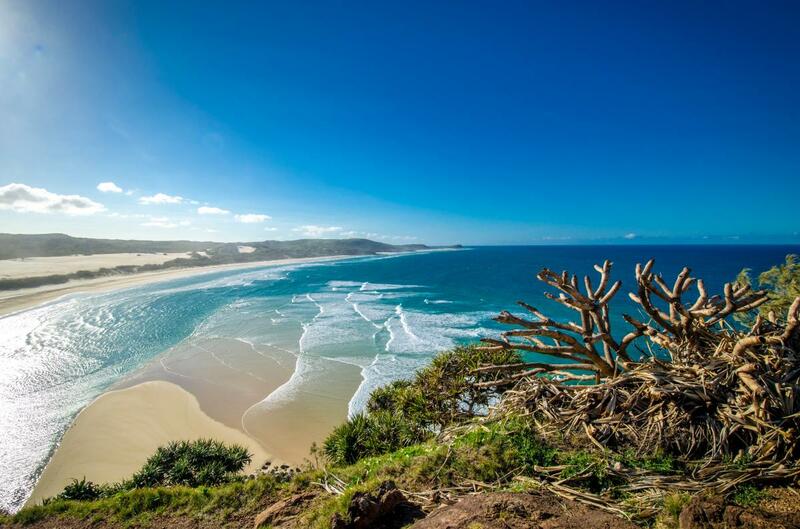 I would definetly want to be in Fraser Island, Australia in christmas. Because it is summer there and swimming in that time can be amazing. Thanks for your advice. Thanks for your comment! I’ve done it personally and it is amazing for sure! New York at Christmas? Nah. I was very disappointed. Some department stores have a couple of windows and giant queues. Central Park had a sparkly few trees at the entrance, and Times Square is Times Square. The lights are not a giant display like Regent Street in London, or the less well known- Malaga in Spain. My village had trees better than the park. The Rockettes at Radio City are well worth the visit though. Otherwise New York is not a patch on Fraser Island where the dark sky is truly amazing. Take binoculars. Lake McKenzie in the centre is stunning but cold. Thanks for your insights Kris, you are very lucky to have traveled so much!